Tech ARP - ED#117 : NVIDIA Launches The GeForce GTX 400 Series GPUs! ED#117 : NVIDIA Launches The GeForce GTX 400 Series GPUs! ED#117 : NVIDIA Launches The GTX 400 Series GPUs! NVIDIA's Fermi GPU has finally arrived for the desktop! Leading the way is the NVIDIA GeForce GTX 480 and the NVIDIA GeForce GTX 470. Here are the details and specifications. New high-speed 32x anti-aliasing smoothes edges for top notch visual quality. Revolutionary DirectX 11 technology and NVIDIA® CUDA™ architecture bring games closer than ever to cinema-quality effects and visuals. NVIDIA PolyMorph Engine, the geometry processing engine built from the ground up for DirectX 11 tessellation, enables incredibly detailed game characters and terrain with blazing performance. New CUDA GPGPU architecture accelerates image processing effects such as motion blur, depth of field,transparency, and soft shadows for truly cinematic visuals. World’s first consumer GPU to enable interactive ray tracing for ultra photo-realistic scenes. NVIDIA® PhysX® technology brings games to life with dynamic, interactive environments. 2 times the PhysX performance over prior generation GPUs for dynamic game effects such as turbulence,fluids, and smoke. New NVIDIA® GigaThread™ scheduler allows 10 times faster switching between graphics and physics processing, enabling more complex effects to be rendered in real time. 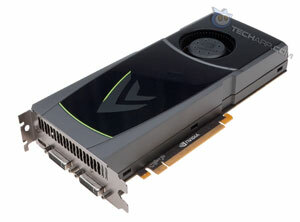 GeForce GTX 480 provides maximum graphics horsepower for triple screen 1080p 3D Vision gaming. NVIDIA® Surround™ technology also supports gaming across three non-stereo displays at resolutions up to 2560x1600. Twice the CUDA cores over prior generation GPUs and an innovative memory architecture deliver incredible performance in GPGPU applications. Upscale videos from standard definition to high definition using the GPU. Clean up movies in real-time with the click of a button. World’s most open GPU computing platform, with complete language and API support including CUDA C/C++,DirectCompute, OpenCL, Java, Python, and Fortran for the broadest compatibility with GPU-accelerated applications. First and foremost, GeForce GTX 480 is designed for maximum gaming performance. Based on the Fermi third-generation Streaming Multiprocessor (SM) architecture, GeForce GTX 480 has 480 CUDA cores, doubling the shader horsepower of GT200. The geometry pipeline is significantly revamped, with vastly improved performance in geometry shading, stream out, and culling. The number of ROP (Raster Operations) units per ROP partition is doubled (to 48 in total). Fillrate is greatly improved, enabling multiple displays to be driven with ease. 8xMSAA performance was optimized through enhanced ROP compression while additional ROP units allow better balance and performance even for uncompressed portions of the scene. The texture units have also been redesigned for improved efficiency and higher real-world performance. GeForce GTX 480 launches at an estimated price point of $499 USD. To learn more about the NVIDIA GeForce GTX 480, take a look at the NVIDIA GeForce GTX 400 Tech Report. GeForce GTX 470 is a cut-down version of the GTX 480 with a much more affordable price. Featuring 448 CUDA cores, 56 texture units, and 40 ROP units, GTX 470 strikes a better balance between price, performance, and power. It has a launch price of ~ $349 USD. To learn more about the NVIDIA GeForce GTX 470, take a look at the NVIDIA GeForce GTX 400 Tech Report. 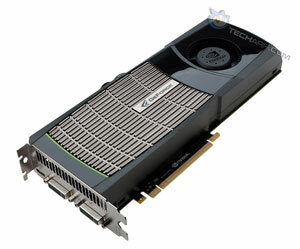 For more details, take a look at the NVIDIA GeForce GTX 400 Tech Report.